Massive M. Bert Storey Georgia Cancer Research Center expansion and renovation project underway on Augusta University campus. 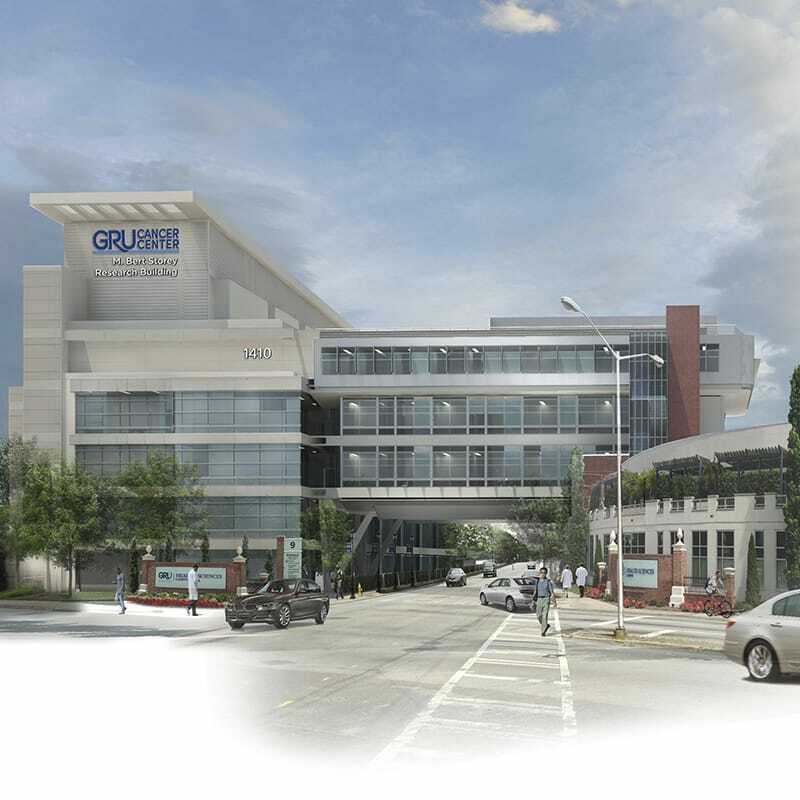 The mission of the Augusta University Cancer Research Center is simple: To reduce the burden of cancer in the state of Georgia and across the globe through superior care, innovation and education. Once complete, the M. Bert Storey Cancer Research Center, a nearly 170,000-square-foot building, will gain an additional 72,000 SF of new space and nearly 6,000 SF of renovated space as it works to become a premiere cancer center for the Southeast. With construction scheduled to be completed mid-2018, the center will feature a new utility suite on the fifty floor, meeting and event spaces and the expansion of the vivarium and wet laboratory spaces. The project includes a Connector building which will facilitate and embody the facility’s spirit of collaboration to physically join the research facilities to the clinical facilities. 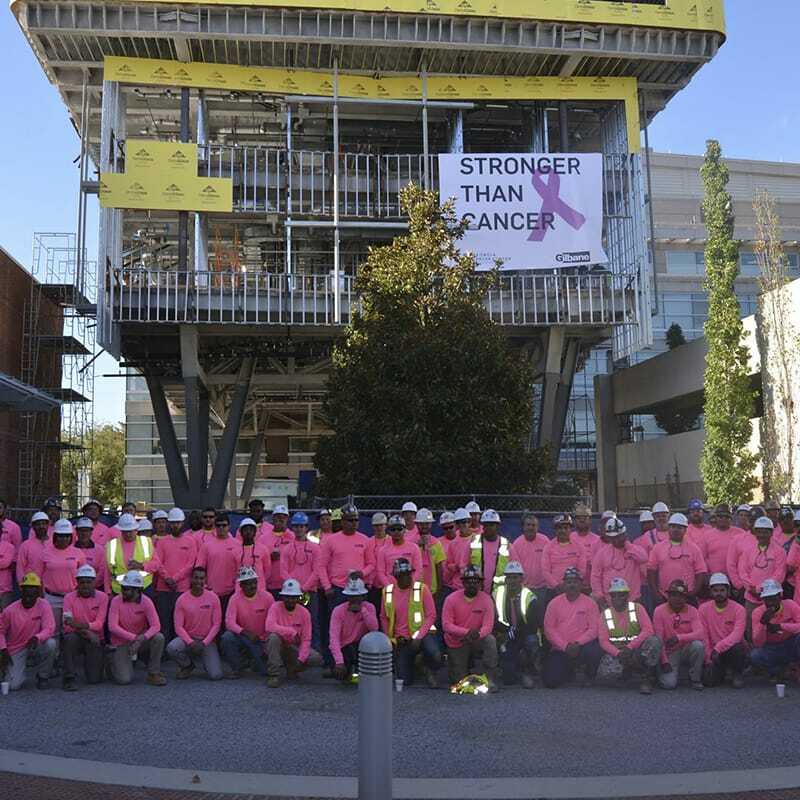 While on site the Augusta team has been involved with a multitude of support activities, such as the “Putting on the Pink” campaign for Breast Cancer Awareness month that was featured on local news stations. Gilbane created a team atmosphere where all stakeholders work together through the challenges that come with an active construction environment working alongside ongoing research, education and patient treatment. Gilbane lead the efforts to create the teamwork foundation with the State of Georgia, Augusta University and WSP’s design team. 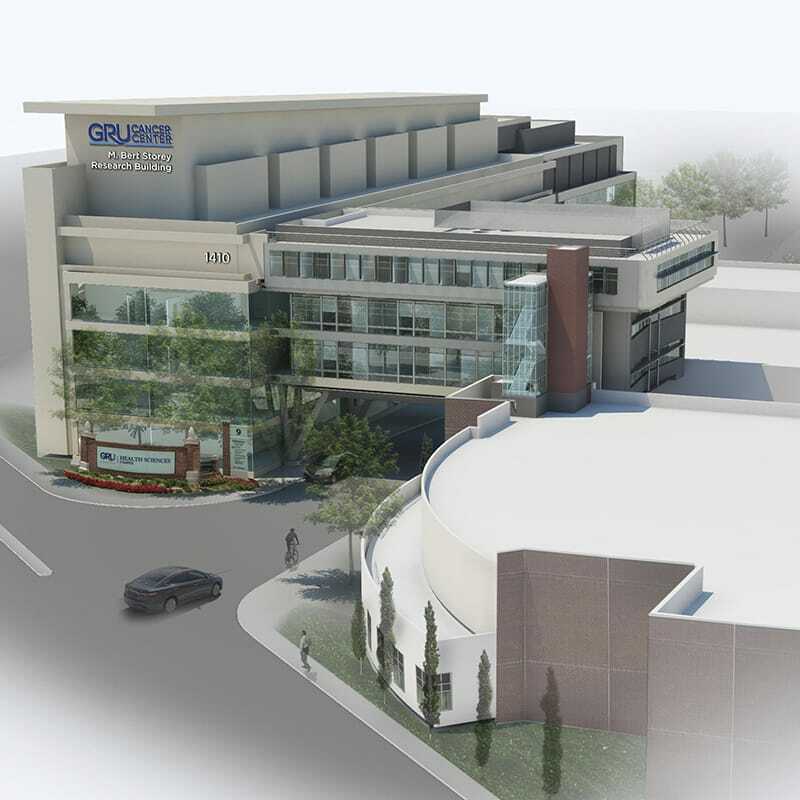 One challenge was the construction of the Connector building, which connects the existing Research Center to the Patient Treatment Clinic, that “hovers” over the Laney Walker Boulevard. The three-story structure spans a three-lane road that serves as the main roadway through the Health Sciences Campus and a major pedestrian thoroughfare.